I have 30 years of corporate real estate experience and am a true industrial tenant representative dating back to the early 1990’s. In 2003, I co-founded Interstate Tenant Advisors, specializing in creating leverage for stakeholders in industrial tenant representation negotiations for public and privately held manufacturers and distributors. We reduced costs and enhanced earnings through leveraged lease negotiations, data-driven site selection, state and local incentive negotiations, lease management, lease audit and project management. In the 15 years I led the firm, we developed and executed tenant strategy for more than $600 million of transactions in 65 markets throughout North America. In 2018, my partners and I merged with Colliers International. Colliers is the perfect blend of worldwide platform and local entrepreneurial brokerage, providing us the resources to continue to grow our zealous tenant advocacy business and better serve our clients across more business lines in more places. Since 2000, I have specialized in representing companies in high-value lease negotiations for distribution centers and manufacturing plants, with a focus on cost-reduction. My commitment to transparency and conflict-free negotiations provides results that impact what is most important to corporate stakeholders: reducing costs, increasing profitability and improving valuations. Throughout my career I have represented tenants in more than 25 million square feet in over 65 markets, and negotiated leases with an aggregate value exceeding $600 million for companies in a broad range of industries including consumer product distribution, e-commerce, paper and plastic packaging and contract manufacturing. I joined Colliers International after the company acquired Interstate Tenant Advisors—a company my partners and I founded in 2003. Interstate Tenant Advisors was one of the first firms to specialize exclusively in industrial tenant representation. I have more than 20 years of corporate real estate experience and was one of the founding members of Studley's Chicago-based industrial department. During my tenure with Studley I developed a unique insight into the industrial market. I realized that there was an exciting opportunity, one which was not yet available in the market: tenant-side lease negotiation. My expertise is in the management of portfolio companies with facilities across the US, lease management, and cost-reduction strategies with a laser focus in making landlords compete for my clients’ tenancies. I am proud of the clients I have helped significantly reduce their costs and realize that their tenancy determines the value of the building and not the other way around. In 2003, my partners and I founded Interstate Tenant Advisors and became one of the nation’s first industrial tenant-only representative firms. Prior to the company’s acquisition by Colliers International | Chicago, we negotiated 25 million square feet of leases in 65 markets across North America equaling more than $600 million. 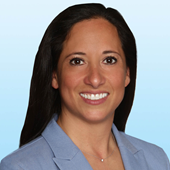 Angela is a Client Services Coordinator with the Colliers International | Interstate Tenant Team. She handles many aspects of client relations, including transaction management for the team. Angela is also responsible for the coordination of marketing materials, sales proposals, PSA due diligence, and various other deliverables to help gain new business. Additionally, she handles research and organizes and manages the group’s various social media platforms. 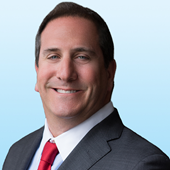 David Silvers is the vice president of strategy and analysis at Colliers International’s Chicago-based Corporate team. David consults with clients and team members to develop highly complex, project specific financial analysis portfolios. These analyses often include cost reduction strategies, evaluation of real estate alternatives, and developing tactics for lease negotiation. 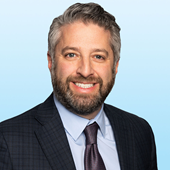 Prior to joining Colliers, David worked as a senior analyst at LinkedIn and as a senior consultant within KPMG’s Financial Services practice. He holds a bachelor of arts degree within Economics and History from The University of Illinois in Urbana-Champaign. David is a licensed real estate broker in the state of Illinois. 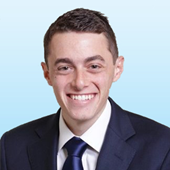 Eric is a business development associate within Colliers International | Chicago’s Industrial Advisory Group. He focuses on contracting and building relationships with new and existing clients by conducting market research to explore new business opportunities. 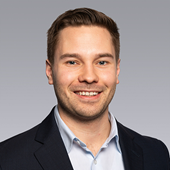 Prior to joining Colliers, Eric was a Brand Activation Manager with Skeff Distributing, Inc. In this role, he managed a team of 15 people to execute promotional events across the Urbana-Champaign market. He was also responsible for building customer relationships and executing sales.